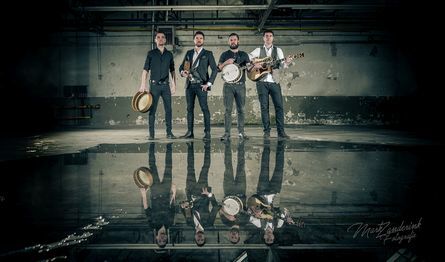 The Kilkennys are at the very forefront of folk groups taking Irish music to the world. They have already proved to be a hit with northern audiences over recent years and their return will once again show why the reputation of this talented and energetic four piece group continues to grow well beyond these shores. Following recent tours in Europe, the U.S. and Asia, and their acclaimed performance on The Late Late Show on RTÉ, the fame of The Kilkennys continues to grow. This show will take the audience on a journey through the Irish folk and ballad tradition, it will feature many well-known ballads as well as new material from The Kilkennys that continues the centuries old Irish bardic tradition. From songs of love to ballads of emigration, The Kilkennys will provide an unforgettable, energy filled, toe-tapping and hand-clapping night of entertainment sprinkled with some of Ireland’s most prolific songs and ballads.